Laura Cross, author of The Complete Guide to Hiring a Literary Agent, Launches her Blog Tour! Laura Cross's family and friends in Detroit, Michigan knew she would move on to bigger and better things when she began writing and performing plays for them as a child. Actually, they hoped she would move on to bigger and better things--they were tired of being her only audience! When Laura packed up the moving van it was to head to California where she earned Certificates in Writing and Feature Film Writing for the UCLA Writer's Program. Laura's writing life has included magazine writing, script reading for production companies and literary agencies, leading writing workshops and blogging about screenwriting and non-fiction writing. She's also written some absolutely fabulous nonfiction books but sadly, as a ghostwriter, she has to keep the titles under wraps! Laura divides her time between Los Angeles and Santa Fe, New Mexico. This book is for every prospective author who has sought to have their manuscript transformed into a printed book. It guides you through the process of contracting a literary agent and convincing them that you are in fact the next great bestseller. From formatting a query letter to ensuring your manuscript looks presentable, every step of the process from inception to execution will be laid out in vivid detail for you. Both published writers who have successfully found and acquired an agent and literary agents who are inundated with manuscripts and requests in the thousands every year, have been interviewed for this book and have provided their personal stories, tips, and tricks as to how you can get into the publishing industry through an agent. Finally, once you have found your agent, you will learn how to read contracts, accept offers, and understand what details will be handled exclusively by your agent. Notes: The print version comes out in June 2010 and you can pre-order it on Amazon. The e-book version is available for purchase on Laura's site, where you can also download a free sample chapter. If you received our Events Newsletter, remember, we are holding a contest to win a copy of Laura Cross's book The Complete Guide to Hiring a Literary Agent to those that comment. So, grab a cup of coffee, pull up a chair, and enjoy the chat, and share your thoughts, and comments, at the end. We will randomly choose a winner from those who comment. WOW: You mentioned that, although you've written over 30 books, this would be the first one with your name on it. Could you tell us a little about that path that led you to so many books, although without the byline? Laura: I was working with friends and associates--line editing and researching, and helping them organize and outline their books--and somewhere along the road it developed into ghostwriting a complete manuscript. I loved the whole process of bringing a book together and I began offering ghostwriting services--from there it developed into a career. WOW: What types of books do you ghostwrite? Laura: Most of my books are prescriptive nonfiction. Initially I specialized in what I knew about (business, entrepreneurship, and marketing) and that gradually grew into additional topics as I began attracting specific types of clients. Now I also write about social media and branding, finance and investment, self-help and relationships, lifestyle and motivation, and health and fitness. I’ve written two travel guides, which were fun, though that’s not a large part of my business. WOW: I love the possibility of so much variety. As a ghostwriter you don't have the luxury of waiting for a muse to tease the words out of you. People are expecting you to deliver on deadline. Maybe we can all learn a little from your writing habits. Paint us a picture of where and how you write. Laura: I’m not sure there is a creative muse for prescriptive nonfiction. When it comes to developing a client’s book I’m like a doctor who lines up her daily appointments--every hour of the day is scheduled. Mornings are spent on marketing, social networking, reading blogs, writing posts, answering emails, and developing my own projects. Afternoons I spend on client projects, whether it’s writing or editing or working on a book proposal. My projects are lined up several months in advance, if I didn’t follow a strict regiment I would wander off course and wouldn’t be able to begin the next project on time. Milestones and deadlines are essential. I have a nice home office with an attached patio (for taking much-needed breaks). It’s a quiet space with no distractions, which allows me to focus. I have a rustic refurbished six-foot wood plank table where I write. I had my eye on that table for three years before I could afford to buy it. It was expensive but it was one of the best investments I ever made--it’s large enough to hold all my papers, notes, and books, and most importantly, my cat, who likes to curl up near me when I’m typing. It creates a romantic, nostalgic atmosphere. It makes me feel like I stepped into an author’s studio in the 1940s. I can’t help but be inspired to write when I sit at that desk. WOW: Your desk and working space sound wonderful! Do you have any hints for getting the job done? Do you set daily goals for yourself? Laura: I absolutely set daily goals. Every writing project has a timeline. During the writing phase I try to complete five pages per day. WOW: Five pages is a good goal. Many of our readers write fiction and debate whether outlines improve books or stifle creativity. Since your books are non-fiction maybe you can add to the debate on outlines from a non-fiction perspective. Do you think they're useful when you're writing? Laura: I break my projects into three phases: development, writing, and editing/revising. Most of my time is spent on preparation: refining the idea, researching (and interviews), organizing the material, and outlining. I always work with a detailed outline, which the client approves before I commence the writing stage. Sometimes the outline will fluctuate a little once I begin writing, but it usually doesn’t stray too far from the initial direction. Once the detailed outline is developed and approved, I use it as the blueprint or map to follow during the writing stage. I basically lay it out as the foundation of the book and fill in the content. For me, this method makes the actual writing process super easy. I can’t imagine working without an outline. WOW: I'm in the middle of a non-fiction book and find that I'm not writing in order: first Chapter One, then Chapter Two, etc. Do you write "in order" or find that you jump around from section to section? Laura: I’m the same! I jump around all the time. Since I complete all the necessary research before I begin writing I’m aware of which sections may be more challenging and which will be easier or more enjoyable. I tend to write the easier or more enjoyable stuff first because I know it will go faster and will allow me to have more time to spend working on the difficult sections. WOW: Thank goodness, now I know I’m not the only one! Do you ever find you become bored with a project? Do you work on more than one project at a time to avoid losing the enthusiasm for a project? Laura: I don’t work on more than one client’s project at a time, except during the period of time between finishing the first draft and beginning revisions when the client is reviewing the project and making any notes--I’ll use that time to work on a smaller project, such as editing another client’s book. But I do split my days between working on clients’ projects and my own projects, which helps keep me motivated. WOW: I'm sure we'll be learning plenty about literary agents during your WOW! Blog Tour for The Complete Guide To Hiring A Literary Agent: Everything You Need To Know To Become Successfully Published but one question about your experience with literary agents. Do ghostwriters use literary agents to find them work or "sell" their skills to people looking for a ghostwriter? Laura: Absolutely! I do acquire plenty of clients on my own who initially approach me to develop their book proposals and they turn into ghostwriting projects once they land book deals, but the best ghostwriting projects and much of my gigs come from literary agents and publishers. It’s rumored that more than 80% of traditionally published books are ghostwritten. Many celebrities, experts, motivational speakers, doctors, attorneys, sports figures, scientists, and business leaders lack the time or the skill to write a compelling book and they require ghostwriters or co-authors. And it’s not just nonfiction, some bestselling fiction authors don’t have the time to produce the volume of work released under their names and they hire fiction ghostwriters to write manuscripts "in their style" based on their ideas or story outlines. WOW: I knew James Patterson worked with ghostwriters but I had no idea it was so widespread! What's next for you? Will your next project have your name on it or be shrouded in the mystery that is ghostwriting? What is your dream-writing project? Laura: I have a few client book proposals lined up and, of course, those are ghostwritten, but as far as larger book projects right now I’m focused on writing my own book. I really enjoy mentoring other writers and sharing what I’ve learned on my writing path, so the next book will be another one for writers. I’m also focusing on teaching writing classes in a new online platform I’m launching this spring that encourages participants to engage with one another and recreates the live workshop experience. I’ve adapted a few scripts for clients as a hidden writer (I earned my certificate in Feature Film Writing from UCLA’s Writer’s Program) and my "dream-writing project" is a screenplay adaptation of a specific book I’ve been interested in for a while. I’m still trying to option the film rights, which just became available earlier this year when a producer let his option lapse...so fingers-crossed. WOW: Everyone at WOW! will have their fingers crossed for you and we’ll be watching for your name n the credits at our local movie theaters--keep us updated. Want to join Laura on her blog tour? Check out these dates and mark your calendar! You can also snag a copy of WOW's Events Calendar HERE. Laura will be chatting with WOW! Women On Writing at The Muffin. Stop by and share your comments! One lucky commenter will win copy of Laura's book! Break out the hammer and nails--today Laura Cross tells us how to build a writer's platform. She's also holding a Winner's Choice Giveaway! Winner of the contest wins a PDF of her book Guide to Hiring a Literary Agent or membership to one of her online classes ($369 value): Writing the Non-fiction Book Proposal, Writing the Non-fiction Book, or Establishing Your Writer's Platform. 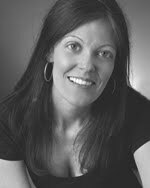 Author Laura Cross tells readers how a good synopsis can get a novel published. And don't miss today's super giveaway! The winner gets to attend one of three online classes ($369 value) Laura is teaching this spring. Today Laura will be answering questions sent in by readers. Do you have a question for Laura about agents, ghostwriting, writing platforms, or another writing subject? 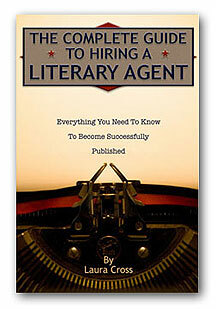 Submit a question and you might win a PDF of her book Guide to Hiring a Literary Agent. Laura Cross, author of Guide to Hiring a Literary Agent, tells readers about her life as a ghost--ghostwriter, that is! Don't miss her post How To Land High-Paying Ghostwriting Book Projects. Writer Laura Cross will be sharing Five Secrets Every Writer Should Know About Query Letters with Thursday Bram. You can also enter to win membership in one of Laura's writing classes ($369 value). Stop by for a great interview with Laura Cross, author of Guide to a Literary Agent. Laura will be stopping by Hell or High Water Writer with 5 Tips for Polishing Your Pitch and a chance to win a PDF of her book Complete Guide to Hiring a Literary Agent. Are you ready for an agent? Laura Cross, author of The Complete Guide to Hiring a Literary Agent, helps you answer that question today. She's also giving away an e-copy of her book. Stop by Words by Webb for a review of Guide to Hiring a Literary Agent by Laura Cross. Laura Cross, author of Guide to Hiring a Literary Agent, is telling all her secrets today...secrets about query letters. She's also giving away an electronic copy of her book. Don't miss it! Be sure to comment on this post to enter in a drawing for a copy of Laura Cross's book The Complete Guide To Hiring A Literary Agent: Everything You Need To Know To Become Successfully Published! And check back in a couple of days in the comments section to see if you won!